Barry: What are you doing this weekend? Iris: I’m going out with (my) bae to the beach. Barry: Oh, I didn’t know you were in a relationship. Iris: My bae is all I think about. Henry: Why? What’s so special about the meat you will sell compared to others? Nusret: I will only buy the best, most expensive meat, and perform for my clients by pouring salt in a fun way. Henry: Is it a gimmick? 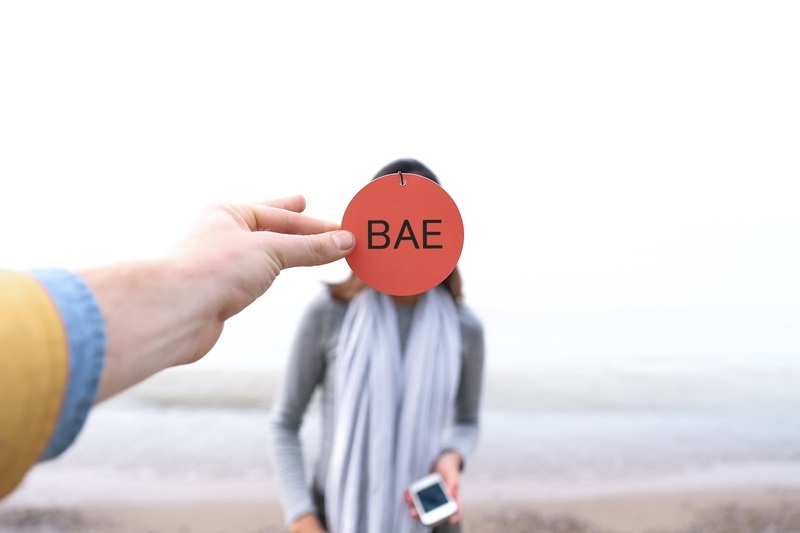 Bae is an acronym for “Before Anyone Else.” It’s more typically used to describe someone’s significant other (Example 1). However, many people think it means baby or babe, but that’s incorrect. It means to do something first that no one else has.